HomeAll Posts...What Is a Pediatric Dentist? Choosing a dentist for your family isn’t a light decision, and you have more options than you might realize. Some parents opt for a “family dentist,” who can see all the members of your family at once. A family dentist makes sense for some families, but there are several situations where a pediatric dentist would be a much better choice. If you don’t know the difference between a pediatric dentist and a family dentist, you’re in good company. Exploring your options and learning the difference will help you make the best decision for your family. Dentists, like doctors, can specialize in different fields. Some focus on root canals, others stick solely to care of the gums, and a select few choose to work with children. Pediatric dentists concentrate exclusively on the care of teeth in babies, kids and teens. As a parent, you know that kids are not just miniature adults. They have thoughts and feelings that aren’t always predictable, and it can take a special kind of know-how to engage with them. Not every licensed dentist has the patience to work with kids, and many kids certainly don’t have the patience to work with the average dentist. Pediatric dentists intentionally put in the work to become experts in children’s needs. A pediatric dentist is equal parts educator and practitioner, so they have extra training beyond dental school to solidify their expertise in the emotional and developmental needs of children. It takes a lot of training to become a dentist of any type. Dental school takes four years to complete and equips a dentist with the knowledge they need to care for and treat your teeth. All dental students take a course or two covering pediatric dentistry basics as part of regular training, allowing them to perform basic dental care for children. But the rapid pace of dental development in kids, in addition to their not-too-predictable behavior often requires significantly more expertise. All dental students graduate from dental school as regular or “general dentists.” However, pediatric dentists undertake two to three years of residency training to become experts in the treatment of children. They learn the many stages of dental development in kids so they can recognize any signs of a problem more quickly than a regular or general dentist. Thanks to courses in child psychology, a pediatric dentist can also treat those problems with minimal upset. You’re probably wondering about the difference between a pediatric dentist and a family dentist. As you would guess from the title, a family dentist is a general dentist who opts to provide dental care throughout multiple life stages. However, a family dentist does not have the extra years of training a pediatric specialist does, because there is no actual residency program in family dentistry, as there is in pediatric dentistry. Their basic understanding of children’s tooth and gum development is often sufficient for routine care, but if something goes wrong, their training may not be enough to handle it, and children may be referred to a pediatric specialist in order to complete more difficult treatments. Family dentists are also limited in the age range of their patients. Although babies need to see a dentist very early on in life, family dentists aren’t usually equipped to see infants in the office. Babies require some specialized tools and equipment that family and general dentists do not typically invest in because they can be too expensive or take up too much room in a facility that serves all ages. Most family dentists don’t work with children under three, leaving a significant gap in care during a critical developmental stage. A pediatric dentist, on the other hand, solely treats babies, children and teens. This narrow focus allows for better monitoring of child development and more personalized care. In fact, most pediatric dentists are thrilled to start seeing infants soon after the first teeth erupt, and definitely by age 1. What Do Pediatric Dentists Do? There’s no question that dental health is a major factor in the overall well-being of your child. Routine checkups generally involve a professional cleaning that removes the unhealthy buildup of tartar and plaque on the teeth, but the examination by the pediatric dentist is often the most important part of the checkup appointment. The exam ensures your child’s teeth and gums are developing normally, and provides the dentist an opportunity to treat any red flags as they appear. Kids and teens should have dental x-rays once a year to detect any problems that may be lurking below the surface of the teeth and gums. X-rays show your dentist issues like decay in between the teeth and cavities that can’t be seen with the naked eye. As a child’s permanent teeth start coming in, x-rays can identify problems in alignment well before the teeth emerge, as well as catch impacted teeth before they become a problem. If your pediatric dentist spots any issues in development, your child may need more than one x-ray per year. Cavities and tooth decay are the most common dental issue in children. Around 20 percent of kids ages 5 to 11 have one or more untreated decayed teeth, and they can cause pain as well as infections. Filling those cavities can restore the teeth to normal function, but often fillings aren’t fun even for adults. A pediatric dentist has the skill to place fillings in smaller mouths and make it seem more fun than you thought possible. Procedures like this are where the benefits of pediatric dental training become even more obvious. Prevention is always the best medicine, especially when growing teeth are involved. Sealants are a great preventive measure and are also a quick and easy way to keep cavities from forming in the first place. A sealant is a thin coating applied to the chewing surface of the teeth. It’s painted on and hardens almost on contact, so kids can go right back to chewing with minimal downtime. Sealants prevent up to 80 percent of cavities in molars. The process is usually very quick, and requires no numbing or drilling. Fluoride varnish is another great preventative measure pediatric dentists provide. Another quick and painless procedure, fluoride varnish is applied to the top and sides of every tooth using a small brush. Many pediatric dental practices offer assessment for orthodontic services as well. While pediatric dentistry and orthodontics are two separate dental specialties, pediatric dentists have lots of training in orthodontics and are often the first ones to diagnose any orthodontic issues. And because they have more experience with developing mouths, they can better predict the course of your child’s progress or spot new issues more quickly. Kids can only develop strong and healthy teeth if they’re getting the right nutrition. Sugar is a notorious culprit in tooth decay, yet it’s often the thing kids crave most. Even otherwise-healthy foods like milk and fruit contain a considerable amount of sugar, so learning to balance your child’s diet is essential. Your pediatric dentist can get you started by telling you which foods to avoid and which to incorporate more. You likely have a lot of questions about your child’s dental health, and a regular or family dentist may not be able to answer them thoroughly. For example, one common concern parents have is regarding thumb-sucking. It’s perfectly normal in infants but can cause problems if it persists with older children. A pediatric dentist is extensively familiar with this type of concern and can offer detailed suggestions if it becomes a problem. Kids aren’t usually interested in the finer points of dental maintenance, but you still want them to develop oral health habits they’ll keep for life. A regular or family dentist may have some pamphlets to hand out, but a pediatric dentist likely has multiple strategies up their sleeve that they’re happy to share with you like tips for flossing your baby’s teeth. There are so many more details to think of when it comes to caring for kids’ teeth and gums. Even the simple act of brushing their teeth comes with more thought than you’d imagine. Nearly 40 percent of kids ages are using too much toothpaste! Your pediatric dentist can help you deliver the best at-home dental care to your child. We field many questions from parents looking to get the best dental care for their kids. Sprout Pediatric Dentistry & Orthodontics is happy to be a resource to answer any questions you may have about your child’s dental health needs. These are some of the most common inquiries we hear. 1. Should My Child See a Pediatric Dentist or Family Dentist? A pediatric dentist is always the best option for a child, and the younger they are, the more important it is they see a specialist. At Sprout, our dental team is highly experienced in treating kids of all ages with compassion and care. Family dentists are a viable option mostly for kids in the tween to teen range, who have the patience to be seen in a more adult-oriented setting. 2. How Do Pediatric Dentists Behave? Demeanor is everything when it comes to making kids comfortable at the dentist. Pediatric dentists generally have more patience and a better sense of humor than your average practitioner, and it all goes toward making the office a fun place for kids to receive care. Pediatric dentists are often known to insert a little bit of silliness into their routines. They may use different names for equipment, like calling the standard diagnostic instrument a “tooth counter,” and they take great pains to explain everything in a way that’s not scary. 3. What Is the Environment Like? A pediatric dentist’s office is a far cry from the typical adult waiting room. These offices are designed with kids’ short attention spans in mind, and usually feature one or more areas dedicated to play. Children will find toys, books and games to stimulate them while they wait. For example, at Sprout Pediatric Dentistry & Orthodontics, kids can feel right at home with movies that play on the ceiling above each dental chair. We make going to the dentist as fun and relaxing as possible! The goal is to make the dentist an inviting space where kids have fun before and during their visit so they look forward to their next appointment. 4. When Does My Child Need to See a Pediatric Dentist for the First Time? The American Dental Association (ADA) recommends that children should see a dentist within six months of their first tooth erupting or by their first birthday, whichever comes first. This early visit establishes your relationship with the dentist, starts a good practice of preventative screenings and helps acclimate the child so future visits aren’t frightening. The earlier a child sees a dentist, the better their future oral health will be. 5. Does My Child Need a Referral to See a Pediatric Dentist? Nope! There is no referral necessary to see a Pediatric Dentist. You can simply call the office and schedule an appointment to become a new patient. 6. What Age Do You Stop Seeing a Pediatric Dentist? The age limit for pediatric dentists is higher than you might think. While the skills and expertise of pediatric dentists are targeted toward babies and children, older teens benefit hugely from continuity of care. Most pediatric dentists stop seeing a child once they reach 18, to ensure that their teeth are fully developed before they find a general dentist. A pediatric dentist is there for your child’s dental needs from birth to college. 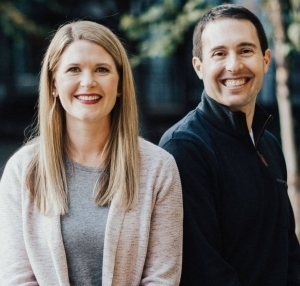 If you’re searching for a pediatric dentist in the Portland, Oregon area, you won’t find a better option than Dr. Dana Fox at Sprout Pediatric Dentistry & Orthodontics. We take a consultative approach to your child’s care, and partner with you to personalize a care plan to their individual developmental needs. From their first baby tooth erupting to their last adult tooth coming in and beyond, we have the expertise to provide the best care for your child. Our office also has the advantage of in-house orthodontics for your child. Rather than referring you to a specialist, our orthodontist, Dr. Paul Fox, performs every aspect of orthodontic care in the same location. The convenience and continuity of having your child’s dentist and orthodontist in one location make Sprout the perfect practice for growing kids. If you’re interested in establishing care with a pediatric dentist, you can request an appointment online. You can also feel free to contact us with any questions or concerns you may have. We’re here to give your little one the best chance at a healthy smile for life. Has your pediatric dentist recommended dental sealants, but you aren’t sure if they are right for your child? Learn what dental sealants are and why pediatric dentists, like Dr. Dana, may recommend them. What are the causes for bad breath in children? Learn about the most common causes of halitosis in kids and how to prevent your child from having bad breath.